After earning his B.S. 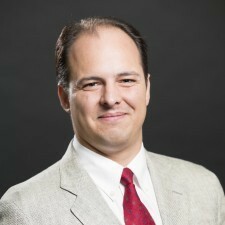 degree at the University of Wisconsin - Madison Dr. Salowitz worked as a Structural Analyst with Boeing for several years before pursuing graduate studies. Since receiving his Ph.D. he has been an Engineering Research Associate in the Structures and Composites Laboratory at Stanford University. His current research is focused on creating new mechanical sensors and actuators intended for water systems and intelligent/multifunctional materials that can detect, report, and respond to their state. His past research has addressed failure mechanisms, damage detection, and structural health monitoring in composite and advanced fiber metal laminate materials. MEMS actuator/sensor design for integration into multifunctional materials. Salowitz, Nathan; Guo, Zhiqiang; Nardari, Raphael; Li, Yu-Hung; Kim, Sang-Jong; Kopsaftopoulos, Fotis; Chang, Fu-Kuo; “A vision on stretchable bio-inspired networks for intelligent structures”, Invited Paper, Structural Health Monitoring, Invited. Salowitz, Nathan; Guo, Zhiqiang; Kim, Sang-Jong; Li, Yu-Hung; Lanzara, Giulia; Chang, Fu- Kuo; “Micro-fabricated expandable sensor networks for intelligent sensing materials”. Invited Paper, IEEE Sensors, Accepted. Salowitz, Nathan; Guo, Zhiqiang; Roy, Surajit; Nardari, Raphael; Li, Yu-Hung; Kim, Sang-Jong; Kopsaftopoulos, Fotis; Chang, Fu-Kuo; “A vision on stretchable bio-inspired networks for intelligent structures”, Invited Keynote Paper, Structural Health Monitoring 2013: A Roadmap to Intelligent Structures, Stanford University, pp. 35-44, September 2013, ISBN:978-1-60595-115-7. Salowitz, Nathan; Guo, Zhiqiang; Kim, Sang-Jong: Li, Yu-Hung; Lanzara, Giulia; Chang, Fu- Kuo; “Screen printed piezoceramic actuators/sensors microfabricated on organic films and stretchable networks” Structural Health Monitoring 2013: A Roadmap to Intelligent Structures, Stanford University, pp. 1543-1550, September 2013, ISBN: 978-1-60595-115-7. Salowitz, Nathan; “Integration and Deployment of Thick Film Piezoelectric Actuators/Sensors on Organic Stretchable Substrates” Ph.D. Thesis, Stanford University, April 2013. Salowitz, Nathan; Guo, Zhiqiang; Li, Yu-Hung; Kim, Kyunglok; Lanzara, Giulia; Chang, Fu- Kuo; “Bio-inspired stretchable network based intelligent composites” Journal of Composite Materials, Invited Paper, Volume 47, Issue 1, pp. 97- 106, January 2013, DOI: 10.1177/0021998312442900. Salowitz, Nathan; Guo, Zhiqiang; Kim, Sang-Jong; Li, Yu-Hung; Lanzara, Giulia,Chang, Fu- Kuo; "Bio-inspired intelligent sensing materials for fly-by-feel autonomous vehicles," IEEE Sensors 2012, Taipei, Taiwan, October 2012, DOI: 10.1109/ICSENS.2012.6411534. Salowitz, Nathan; Li, Yu-Hung; Kim, Sang-Jong; Roy, Surajit; Chang, Fu-Kuo; “Structural health monitoring of high temperature composites” Proceedings of The ASME 2011 International Mechanical Engineering Congress & Exposition, pp. 273-280, Denver Colorado, November 2011, DOI: 10.1115/IMECE2011-64788. Guo, Zhiqiang; Kim, Kyunglok; Lanzara, Giulia; Salowitz, Nathan; Peumans, Peter; Chang, Fu- Kuo; “Bio-inspired smart skin based on expandable network” Structural Health Monitoring 2011: Condition-based Maintenance and Intelligent Structures, Stanford University, pp. 1717- 1723, September 2011, ISBN:978-1-60595-053-2. Salowitz, Nathan; Guo, Zhiqiang; Li, Yu-Hung; Kim, Kyunglok; Lanzara, Giulia; Kim, K.; Chen, Yong; Chang, Fu-Kuo; “Development of a bio-inspired stretchable network for intelligent composites” International Conference on Composite Materials, Jeju South Korea, August 2011. Li, Yu-Hung; Kim, Sang-Jong; Salowitz, Nathan; Roy, Surajit; Larrosa, Cecillia; Janapati, Vishnu; Chang, Fu-Kuo; “High temperature intelligent composites” International Conference on Composite Materials, Jeju South Korea, August 2011. Guo, Zhiqiang; Kim, Kyunglok; Lanzara, Giulia; Salowitz, Nathan; Peumans, Peter; Chang, Fu- Kuo; “Micro-fabricated, expandable temperature sensor network for macro-scale deployment in composite structures,” IEEE Aerospace Conference, Big Sky, Montana, March 2011, DOI: 10.1109/AERO.2011.5747597. Lanzara, Giulia; Salowitz, Nathan; Guo, Zhiqiang; Chang, Fu-Kuo; “A Spider Web-Like Highly Expandable Sensor Network,” Advanced Materials, Volume 22, Issue 41, pp. 4643-4648, 11/2/2010, DOI: 10.1002/adma.201000661. Salowitz, Nathan; Lanzara, Giulia; Guo, Zhiqiang; Rose, James; Chang, Fu-Kuo; “Design of planar electrodes for multifunctional piezoelectric sensors,” Structural Health Monitoring 2009: from System Integration to Autonomous Systems, Stanford University, pp. 1080-1087, September 2009, ISBN: 978-1-60595-007-5. Lanzara, Giulia; Salowitz, Nathan; Guo, Zhiqiang; Chatterjee, Debarshi; Kim, Kyunglok; Peumans, Peter; Chang, Fu-Kuo; “Multifunctional sensor nodes in stretchable network for structural health monitoring,” Structural Health Monitoring 2009: from System Integration to Autonomous Systems, pp. 805-814, Stanford University, September 2009, ISBN: 978-1-60595- 007-5. Maniscalco, Matthew; Lee, Nicolas; Dektor, Shandor; Salowitz, Nathan; Grote, Elizabeth; Twiggs, Robert; “A design concept for a robotic lunar regolith harvesting system” Submitted to the 2007 ICRA Space Robotics Workshop, Rome Italy, April 2007. Zhuang, Yitao; Kopsaftopoulos, Fotis; Salowitz, Nathan; Kim, Sang-Jong; Chang, Fu-Kuo; “Design of Smart Adhesive Films for Bondline Integrity Monitoring” Stanford-Boeing Annual Review Meeting, Stanford University, October 2nd, 2013. Salowitz, Nathan; Lanzara, Giulia; Guo, Zhiqiang; Rose, James; Chang, Fu-Kuo; “Design of Planar Electrodes for Multifunctional Piezoelectric Sensors” The 7th International Workshop on Structural Health Monitoring, Stanford University, September 2009. Maniscalco, Matthew; Lee, Nicolas; Dektor, Shandor; Salowitz, Nathan; Grote Elizabeth; Twiggs, Robert; “A Design Concept for a Robotic Lunar Regolith Harvesting System” The 2007 ICRA Space Robotics Workshop, Rome Italy, April 2007. Stanford Magazine, Making Airplanes Smart – Engineers are developing sensory nets that mimic a nervous system, 1/2011, pp. 22. Brown, Mark; Wired, Planes Get Extra Senses From Web of Sensors, 9/2010.